Home to the highest peaks on the Philippine archipelago, Mountain province begin stretching across 10 municipalities until reaching Paracelis in the east. The province is mostly comprised by majestic landscape of mountains, deep valleys and astonishing caves. With a total area of 832.97 sq. miles, it has been declared as home for one of the most fascinating aesthetics that was built a thousand of years ago—The Banaue and Bontoc Rice terraces is one of the iconic and prominent wonders that warms the heart of our fellow Igorots. These are the ethnic groups in the Philippines who inhabit the highlands of Luzon. 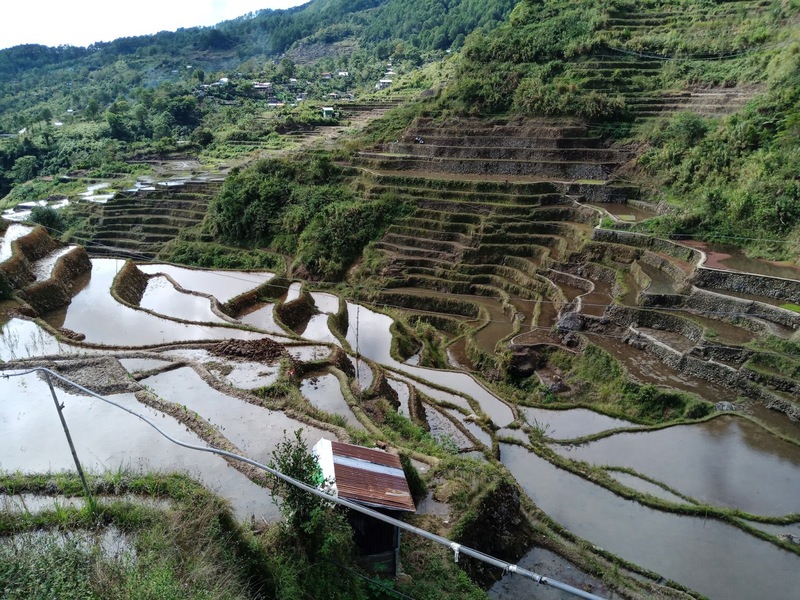 Carved into the mountain range, the hand-hewn terraces are the rice bowl of the region, as well as a tourist magnet that draws interest to many people. Travellers who wish to see them need to be quite determined as the voyage can take up atleast 10 hours. The route seems to be fine and the bus is fast. However, the narrow road reflects a life-and-death journey as it climbs up to an altitude of some more than a thousand feet. Rest assured, all this worries will come over to peace as you witness the breath-taking and unimaginable sceneries along the way. 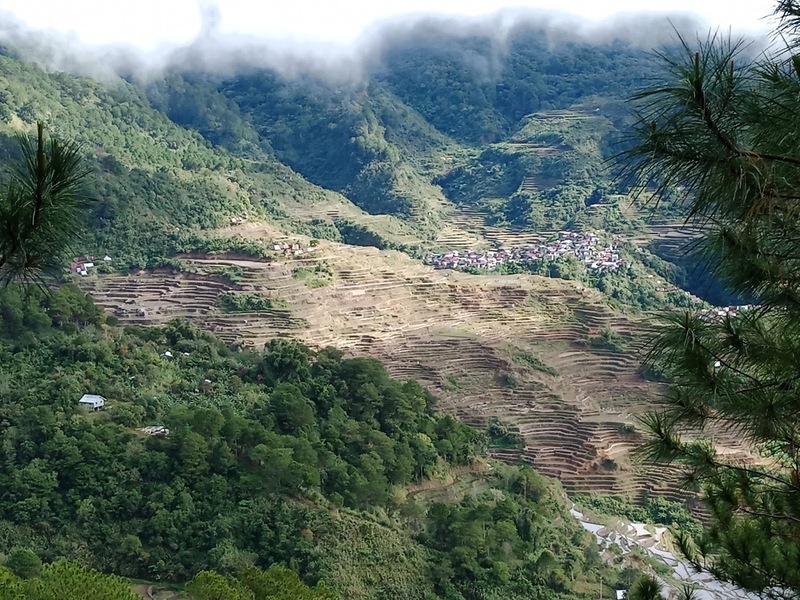 Besides the famous sunrise of Sagada, along the road you will find Bontoc. Bontoc seems to sprout to most of the travel blogs nowadays. The capital is a gateway to the north and to other prime locations such as Banaue and Sagada. It is a small uncharted village which is far from the busy streetlights of downtown. The steets are easy to figure out and walk around. Tricycles here are cheap and you will not be hassled paying the local rate. The natives are also amazing as they will teach you a different story of our Asian bloodline. Getting to Bontoc may offer you a number of options. 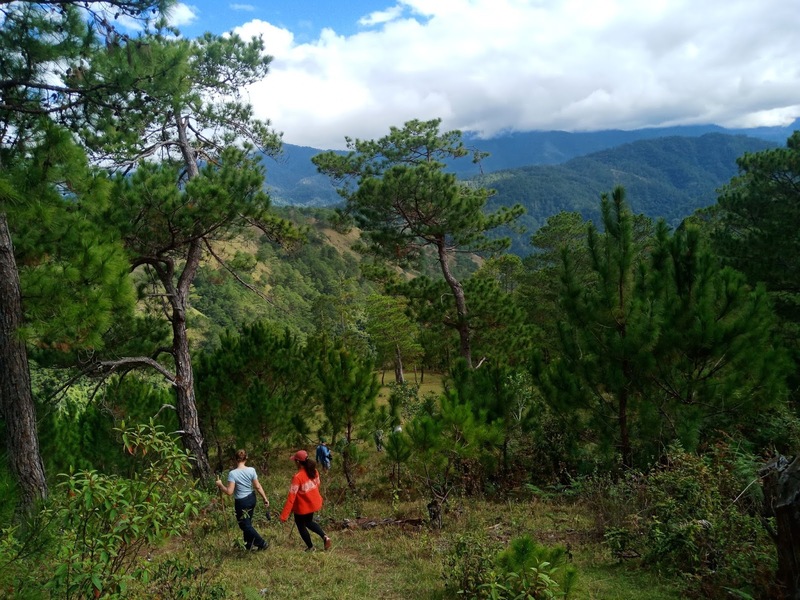 You can choose either the well known classic course which requires you to drop by Baguio first or the direct route which is hassle-free and quite speedy. Choosing the right way is essential as it may highly affect your itinerary or worst is making mess on whole vacation. So its recommended that you invest time on planning your travel schedules. Address: HM Transport Inc. , Monte de Piadad, corner Mara land Street Cubao, Quezon City. 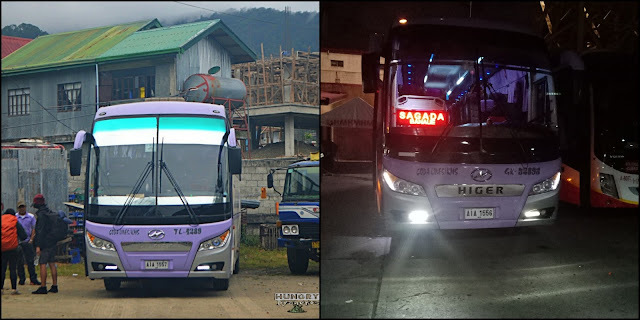 This bus company has daily trips from Cubao going to Sagada via Banaue and Bontoc. Travel time is expected to be around 9-10 hours. Coda lines is starting the trip around 8pm up to 10pm. To secure an accurate timeline, ticket reservation is highly reinforced. This museum is founded to preserve the rich culture of the region. Getting here is not an issue as you only needed to ride a tricycle for just 10php per pax. 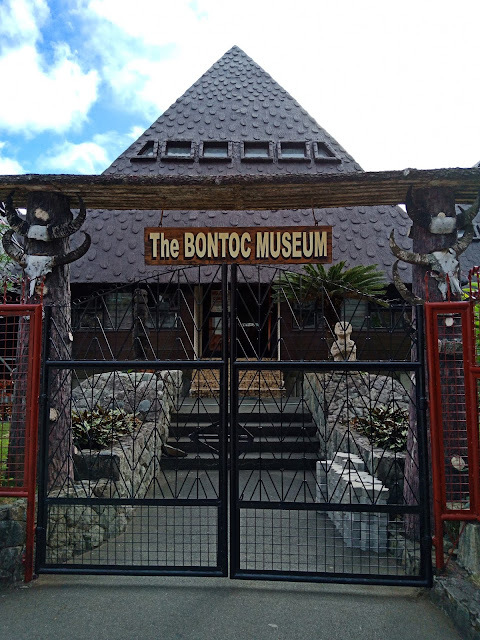 The museum beholds a wild array of ancient materials that symbolizes the rich culture of Igorot. If you are an inspiring traveller who seek pieces of history, well this place will help you live that dream as it bring you some of the stories that textbook never told. The museum also exhibits "anitos" or God figures that were carved over a thousand of years ago. These "anitos" represent special beings as they believe that passing relatives are becoming ancestral spirits who protect them from harm. The whole place is a time capsule where present time unite with the past. * In order to preserve and maintain privacy, taking pictures inside the premises is prohobited. However, they still allow their guest to take photos at some external areas of the museum. 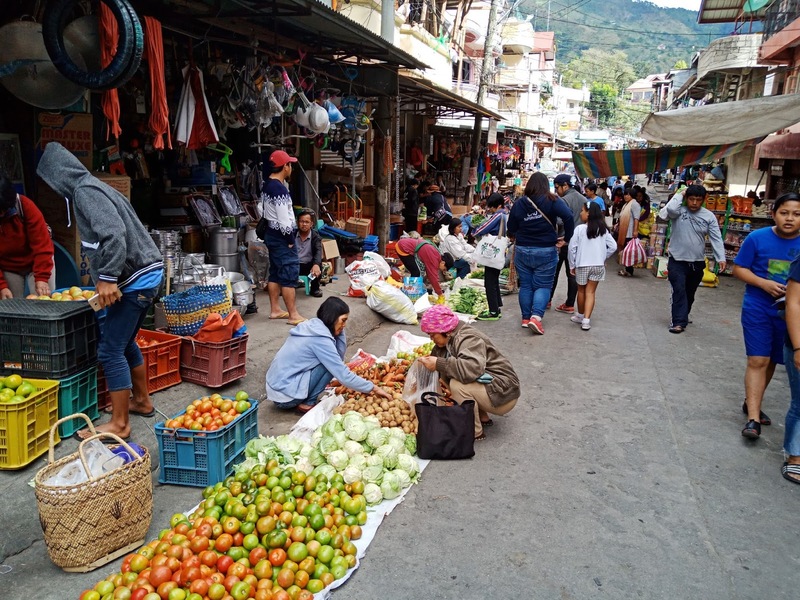 Bontoc Public Market is a street market composed of small-scale farmers—mostly are native—who feature a variety of organic and ethically sourced crops such as fruits and vegetables. 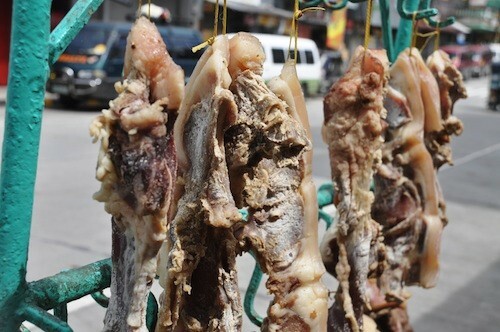 This market is just few steps away from the Bus terminal. But you still need to ask people to avoid getting lost. 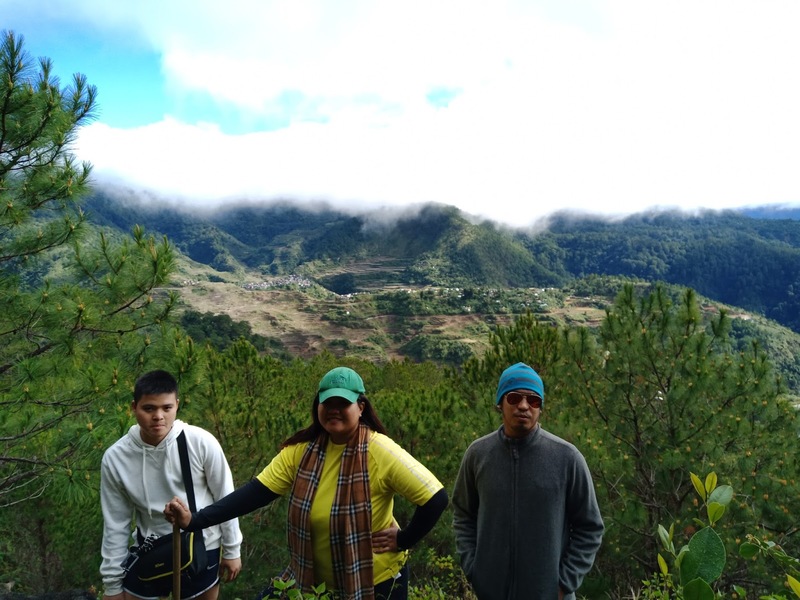 Rest assured, this is not a challenge since locals are very approachable and besides from their dialect they also know how to speak English and Tagalog. Rowed by multiple stores, the market is also able to provide you wood carvings, souvenir items and even some native-inspired clothing. In addition, the place is only open every saturday. This provides an ample time for the farmers to harvest the finest vegetables from their farm. Our team seems to be fortunate enough when we found this small coffee shop lying along the narrow street of the market. The welcoming aroma of the coffee wafts through the wind, calling to our weary legs to come and take a seat. Credit: freshly brewed coffee paired with banana bread for just 20 Php. TIP : Arriving at the right time at Bontoc is very crucial especially if you dont have private vehicle. The jeep that will climb you up to Maligcong is only scheduled every 8am and 12pm. So if you will be planning to pass by the market first, you need to take the 12pm jeepney ride and enjoy the lean time thru shopping and eating. The jeepney ride will cost you 25php per pax. At first, you may feel an adrenalin rush especially if you are not used to mountains because the tour guide will take you to a minor trek. The trek to say the least is perfect. Perfect because it is approachable and kid-friendly. However, you still need to watch your steps as each level is stretching atleast 20 feet high. Dubbed as the "eight wonder of the world" , the rice terraces simply showcases the creative engineering skills of the ancient civilization. 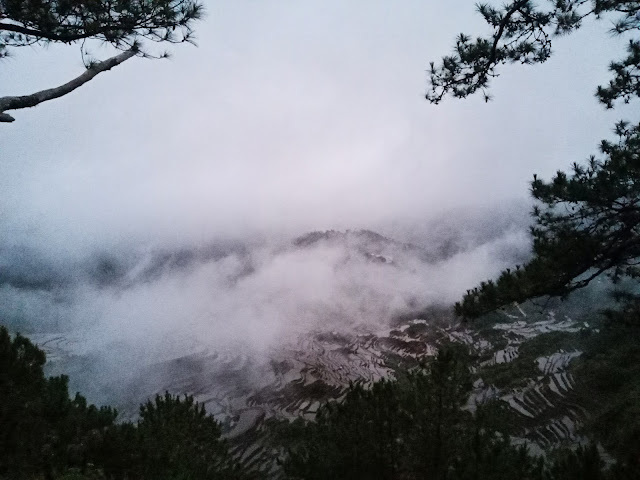 Until now, this breath-taking mountains are still functional and still passionately feeding the people. 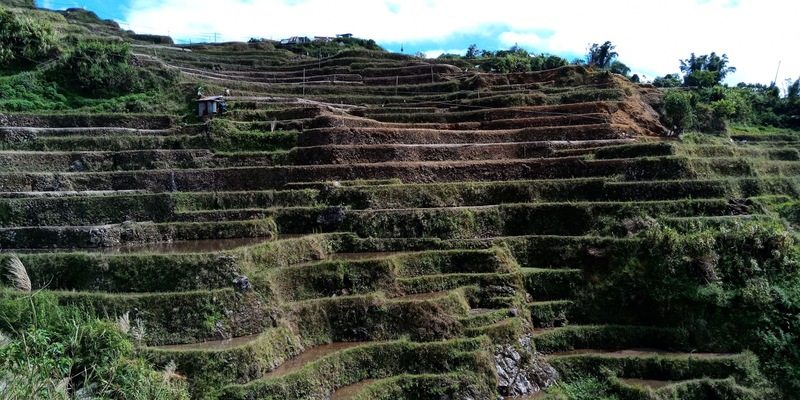 Credit: The wide and beautiful edges of Maligcong Rice terraces. TIP: Allow your self to wear comfortable clothing. Gears are not highly required since the trail is easy. What most important is your comfortability as you may be walking under sun for atleast 2 hours. Also do not forget to bring water and fully charged cameras. Mountain province said to be one of the finest source of mineral water that freshly pour over the cold springs of the mountain range. One of this is the Linkon Falls. After trekking over Maligcong Terraces, we came back to the house to fuel up our stomach with delicious food prepared by the owner of the transient home. The place is rural so finding a place to eat is pretty challenging. Good thing that we found this meal package for just 100php per meal. To make every moment count, we did not waste any time as we find our way to Linkon falls just right after eating. 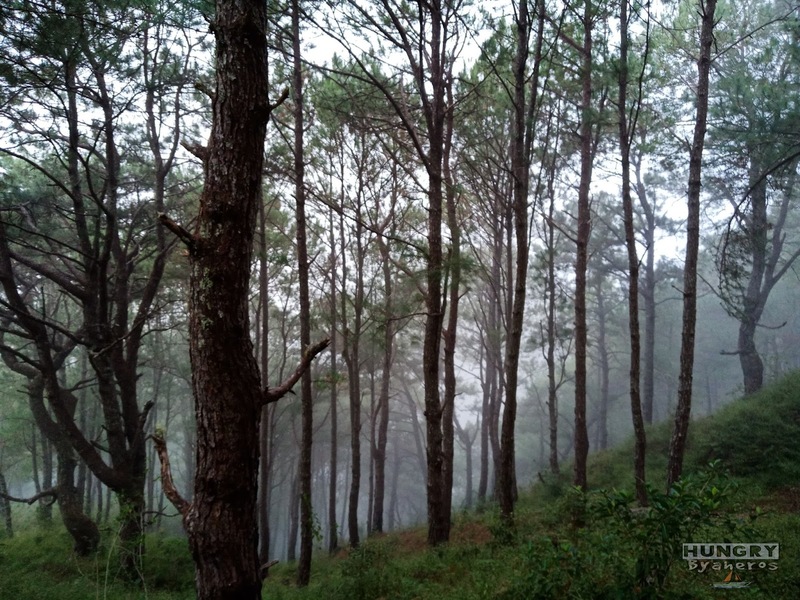 The trek is refreshing and the landscapes are mesmerizing. However, the trail going down the falls is quite different. Since the pathway is not well-established yet, be prepared to scramble on some rocks and fallen branches. 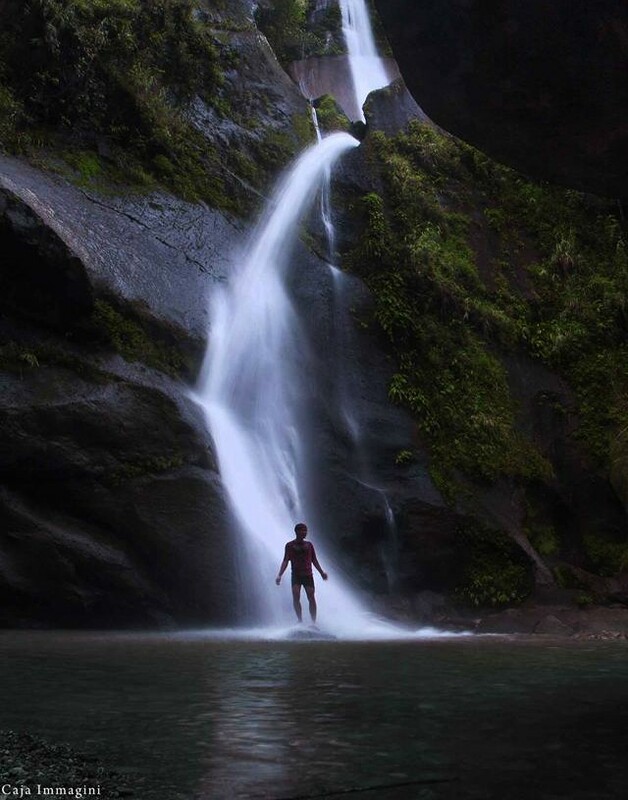 TIP: Bring clothes as you may find the interest to swim on the fresh and cool water of the falls. One you should never miss at Maligcong is seeing the breath-taking sea of clouds from the peak of Mt. Kupapey. The hike is recommended to start by 4am as you need to be on top before the sunrise bloom. The duration of the climb is expected to be around 45 minutes to 1 hour but still depends on how you will speed up your walk. Dogs can be one of your buddy because most of them used to climb up the mountain together with tourist. They know the way and will never leave you as they were trained to lead ways. Mount Kupapey is abundant of trees especially the pines. The wind is cool and the trail is good for beginners. Credit: The sea of clouds seems to be shy the moment we arrived. Along the way, you may find this wild berries that surprisingly scattered thoughout the trail. The taste is tangy with notes of sweetness. My friend and I became so interested that we almost hunt every corners of the trail. 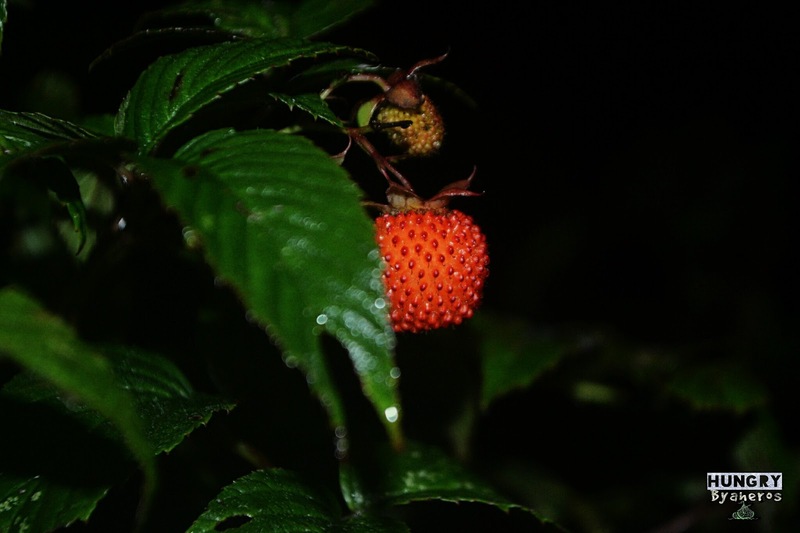 Credit: wild berries are more likely to see when reached by flash light. TIP: Since the hike will start early in the morning, it is advised that you wear sweaters and jackets as the temperature during morning is extremely cold. Mt. Fato can be reached the same time after climbing Mt. Kupapey as the tourguide will ask you if you wish to go straight. 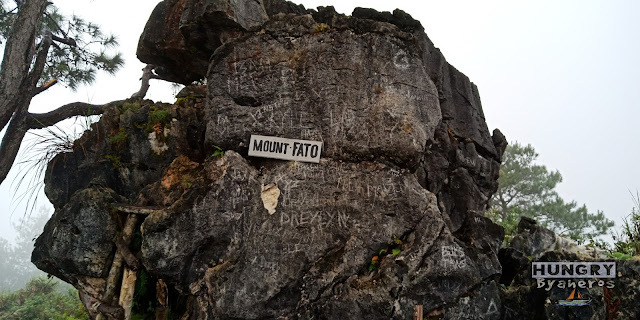 "Fato" literally means rock in Igorot. This is because of the giant rock formation situated over the peak. It offers 360 degrees view of Maligcong Village that draws tourist and photographers. 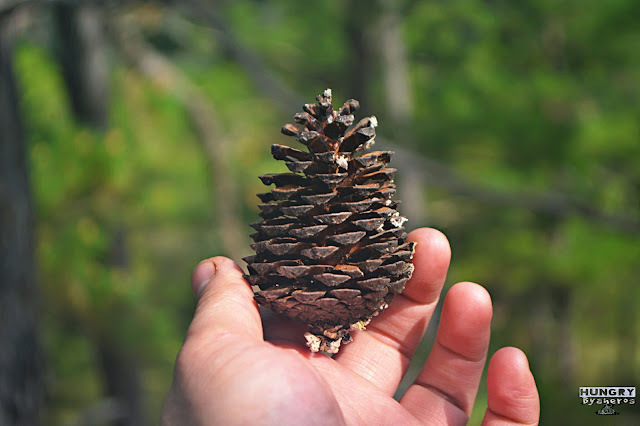 This dried fruit from pines are oftenly being used as decorations during Christmas. The trail going up Mt. Fato is quite challenging than on Mt. Kupapey. But rest assured, all this will come to exhilerate once you witness the breath-taking landscape of the village. Credit: Mt. Fatos's peak. 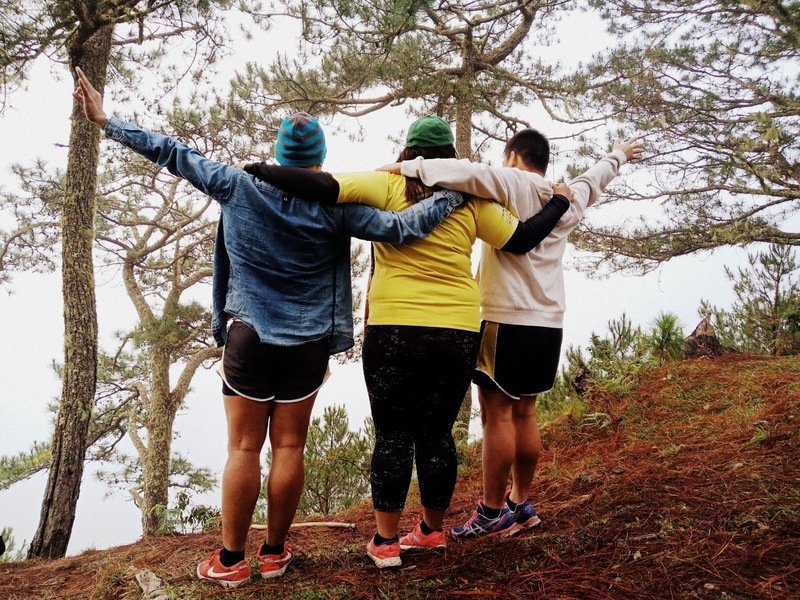 TIP: Wear your best hiking attire as you may climb muddy and rocky trails. Also, make sure that your gadgets are fully charged so that you will not be hassled taking pictures. Maligcong is a rural village situated in an altitude of 4185 ft. Chasing the sunrise is no big deal to all locals as they can catch those amazing rays right over to places you could not imagine. So if you are brewing a plan, choosing a best homestay is quite essential for you to experience the reality you expect. The sun rosed in a pool of crimson and gold, spilling light all over the land. This view showing spectacular story of nature is just a few stairs away if you book a reservation at Chen's Maligcong Homestay. Credit: A piece of heaven just right over the Rooftop of Chen's Maligcong Homestay. When you are in a vacation, sometimes your having a feeling of being so focus on the activities. This makes you tired and you go hunt for a restaurant to get a meal. Unfortunately, the village has no amenities like this because they are not fully established yet. 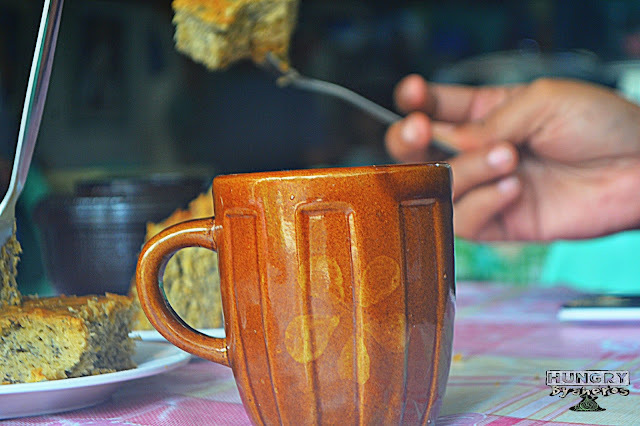 Good thing that Chen's Maligcong Homestay offers a cooked and well-handcrafted dishes for just 100php per meal. We really enjoyed the taste and the cool wind kissing your skin is what made us enjoy every bites. The owners will even join you as you eat, this help us to know them better Credit: Pork adobo, carbonara, steamed rice, homemade fish fillet and carrot salad. Chen's Maligcong homestay has a total of four rooms. Each room can accomodate a total of eight persons. They also established a small store where you can buy snacks, canned goods and even beer. All of the activities were also being offered by the owner, so theres no hassle finding a tour. Credit: Rooms were all named after their relatives. Namely as Innit, J&E, Linda and Mattias. We really enjoyed our stay at Chen's Maligcong Homestay. We highly recommend this place to all people who are planning to spend vacation at the place where sunrise are just outside the door ways. 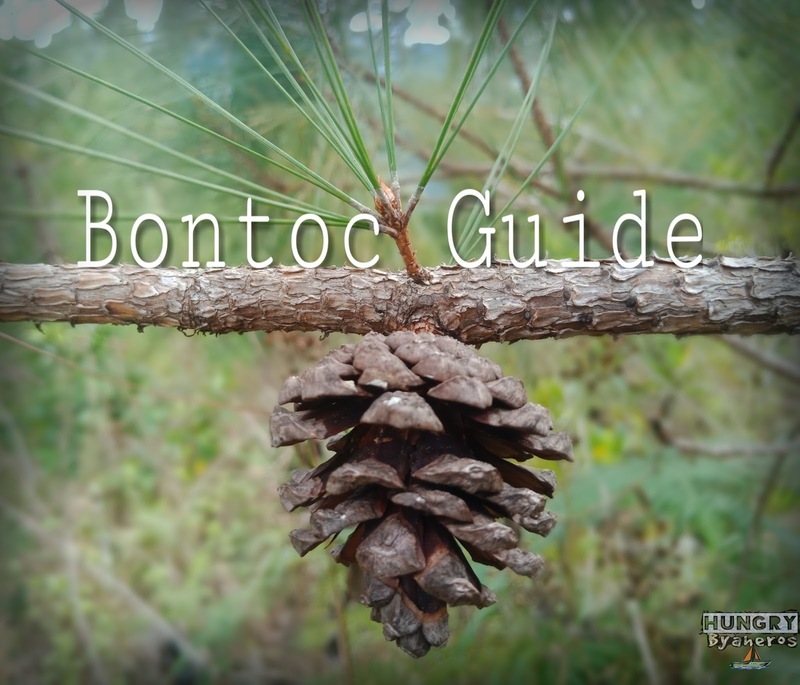 Below is our itinerary that we have used for the entire 2-day vacation at Bontoc. All the costings are inclusive of food, transpo and activity fees. Due to work schedules, our team decided to take the 10pm ride bound to Bontoc. We meet up directly at Coda lines inside HM Bus terminal in Cubao. You can also take 8pm schedule if you wish to arrive early. In our case, we can only access the time later than 8pm. TIP: To avoid hassles, booking tickets prior to the scheduled date is highly recommended as the number of passengers may increase and you end up loosing the ride. Tricycle fare is 10php per pax. 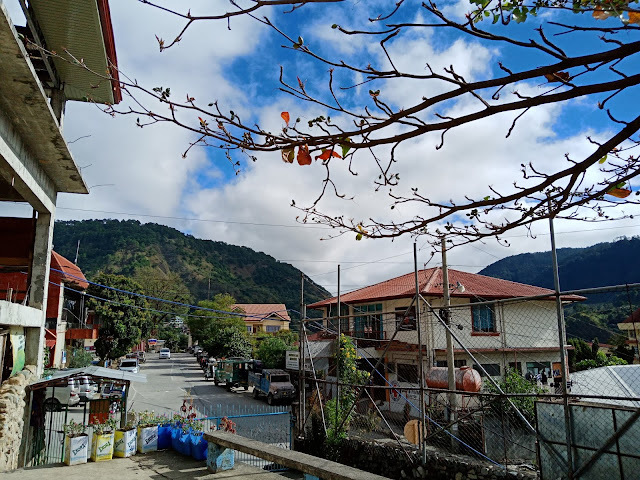 08:45 AM— Arrival at Bontoc Museum. 09:20 AM— Arrival at Bontoc Public Market. While we are away from the jeep, we managed to get in touch with our partner who stayed at the jeepney station. As per them, the jeep has chances to depart early especially when passengers completed the seats. So instead of 12pm, we were informed that we will be leaving by 10am. From the market, we took a tricycle ride going back to the jeep for 10php per pax. 10:00 AM— Arrival at Station / Departure going to Maligcong. 10:30 AM— Arrival at Maligcong / Check in to Chen Sak ayan homestay. Individual payment of 300php per night. 11:00 AM— Start of Maligcong rice terraces adventure. Tourguide fee: 300php per 5 persons. 03:00 PM— Start of hike heading to Linkon Falls. The hiking can take up around 3 to 4 hours. Tourguide guide fee is 500php per 5 persons. 05:30 PM— ETA at homestay / Dinner time at 100php per person. You can watch the sunset over the rooftop of the transient home we booked. There you can see the breath-taking scenery where the sun gently kisses the edges of the carved mountain as it gently go to sleep. Since we were not able to book a bus that can catch us at Maligcong, we decided to take a 4pm bus at Bontoc Downtown. 3640 PHP per pax ( Solo Backpacking ) If not able to join a group. Note: The prices may not be definite because it depends on the number of persons your group has. It is better to have atleast 5 people because the tour fees can close a deal for a minimum of 5 participants. Rest assured, prices will still be adjusted in case your group only has less than 5. Wherever you go, becomes a part of you somehow. So when will you plan to travel? 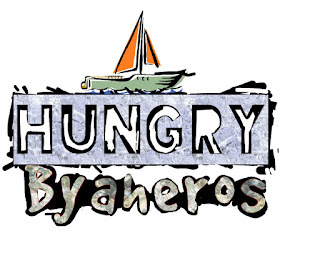 For more travel tipid tips, please visit our facebook page at HUNGRY BYAHEROS. 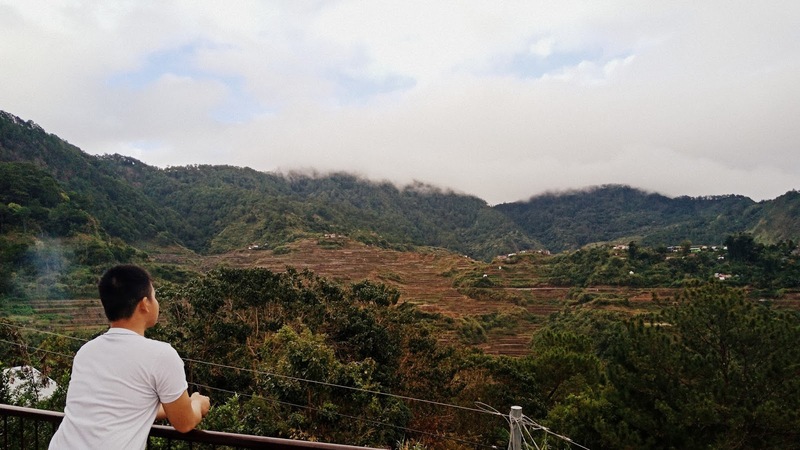 We had never heard of Bontoc, but it looks truly amazing. We would especially enjoy the marketplace. Thanks for sharing. Wonderful guide, with beautiful photography! Thank you for sharing this wonderful and beautiful guide.